Soni Motors Thailand and Soni Motors Dubai are proud to be not only Thailand's and Dubai's top exporter of Toyota Hilux Revo Thailand Exporter, Toyota Hilux Revo Rocco Thailand Export, Toyota Hilux VigoG and E Double Cabs and Toyota Hilux Revo Thailand Exporter, Toyota Hilux Revo Rocco Thailand Export, Toyota Hilux VigoSingle Cab Vigo but also of Extra Cab Toyota Vigo. In 2009 Toyota introduced a new kind of four door extra cab that is called Smart Cab. Only J is now available in Extra Cab, all other Extra Cabs are now four door (front one opening front and back door back so technically they can also be construed as two doors) Smart Cabs. 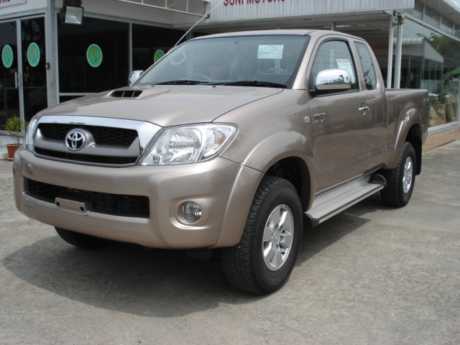 Toyota Hilux Revo Thailand Exporter, Toyota Hilux Revo Rocco Thailand Export, Toyota Hilux Vigobroke all previous records of sales and emerged as world's best selling diesel 4x4 pickup. 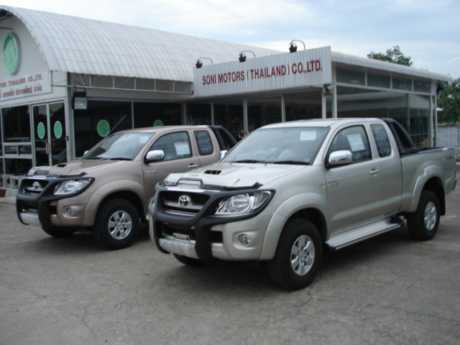 Soni Motors Thailand is Thailand's top Toyota Vigo exporter is also Thailand's top exporter of new and used Toyota Hilux Revo Thailand Exporter, Toyota Hilux Revo Rocco Thailand Export, Toyota Hilux Vigo4x4 Double Cab. 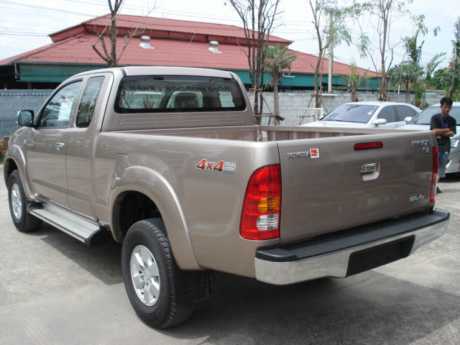 For more Images (Pics) of Toyota Vigo, Mitsubishi L200, Nissan Navara and other vehicles please click http://www.sonirodban.com/pics.html. An email at sonivigo@gmail.com will connect you to worldwide Soni fraternity.